A new report says China could add 9.5 million jobs in 5 years by phasing out the country’s dirtiest industries. While Republicans in the United States argue over how many jobs they believe environmental regulations will cost the U.S. economy, China could add a net 9.5 million jobs over the next five years by eliminating some of the dirtiest industries, a new report says. 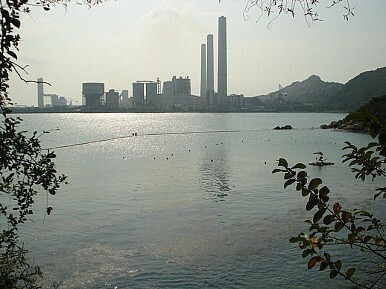 According to a study by the influential China Council of International Co-operation on Environment and Development, the jobs can be added by replacing such industries with “green businesses,” with the gains in focusing on high tech firms more than making up for the estimated 950,000 jobs that would be lost by shutting energy intensive industries down, The Guardian notes. The report also recommended investing 5.8 trillion yuan ($912 billion) in energy-saving measures, which it believes would help boost the economy by 8 trillion yuan. The recommendation followed a recent pledge by China to spend 2 trillion yuan on developing green energy and reducing carbon emissions over the next five years, with a view to cutting per-unit GDP energy consumption by 16 percent compared with 2010. Earlier this month, a study found that China’s carbon emissions per unit of economic growth had plunged over the past five years, as the country has turned to greener technologies. According to a report by Tsinghua University, although China is now the world’s largest emitter of carbon dioxide, with greenhouse gases climbing 33 percent between 2006 and 2010, the country’s so-called carbon intensity actually dropped by more than 20 percent over the same period. Such moves are in marked contrast with the efforts of U.S. lawmakers such as Michele Bachmann, a candidate for the Republican Party’s nomination for president, who has campaigned against a 2007 law that requires manufacturers to develop energy-efficient light bulbs. Still, although the China Council of International Co-operation on Environment and Development has some heavyweight political backing in Li Keqiang, who is widely expected to be the country’s next premier, China won’t find it easy to undo some of the serious environmental degradation that has marked its breakneck pace of economic development. For a start, local officials desperate to meet economic growth targets are frequently tempted to disregard centrally issued initiatives. And then there is the problem of corruption, an issue that Premier Wen Jiabao argues is the greatest facing the country today, which has prompted many local officials to turn a blind eye to questionable environmental practices. But a report by the European Commission in September offered one of the starkest warnings for China. “If the current trends in emissions by China and the industrialized countries including the USA would continue for another seven years, China will overtake the USA by 2017 as highest per capita emitter among the 25 largest emitting countries,” the report noted. US-Style Emissions a 'Disaster'China's Wind Power Boom?US Envoys Due in Beijing for Trade TalksWhy Canada Will Bear the Brunt of the American War on HuaweiIs China Really Targeting US Diplomats With a 'Sonic Attack'?